24" x 42" Oil on Canvas. Commissioned to paint a private salt water tank. I took over 100 photos, which I used to paint from. 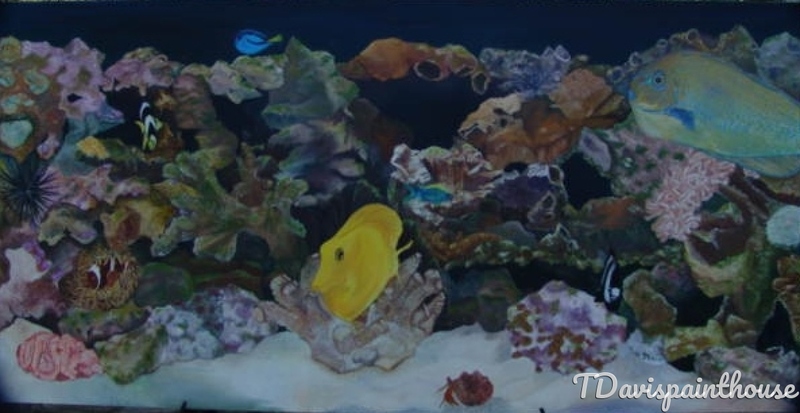 Shortly after I started this painting majority of her salt water fish and coral died from a move of residence.